On Black Friday, Christopher and I had the privilege of photographing this elegant Goldsboro, NC wedding! Even though it was a cold and blustery day, Sam and Ariel didn’t let that dampen their spirits! Back in May, when Christopher and I met Sam and Ariel at the JC Raulston Arboretum for their engagement session, we knew their wedding was going to be a blast! Sam and Ariel are just so in love with one another that it makes them giddy. It was so sweet to witness their love! Ariel’s lace detailed Maggie Sottero dress from Carolina Bridal World paired beautifully with her bride’s peacock colored dresses from Azazie. Both sets of dresses tied together beautifully with the girls’ classic bouquets of white roses provided by Pinewood Florist! Engaging Events by Wendy did a beautiful job arranging the ceremony and reception decor! Everything about the day was beautiful! One of my favorite moments of the day, was when Ariel’s mom and sister were helping put on Ariel’s wedding dress and veil. You could tell both of them were in complete awe and wonder at seeing Ariel as a bride. Another favorite moment of both, mine and Christopher’s was witnessing the bridesmaids and groomsmen pray over Sam and Ariel. Although I can’t speak for the groomsmen, I know this was an emotional moment for the bridesmaids. By the time the prayer was finished, I don’t think there was a dry eye in the room! Enjoy some of my favorites from this beautiful day! Today, another adorable pup is hitting the blog! Meet Flynn and his sweet parents Lindsay and Taylor! We have known them for a couple of years now. When we first started going to our church, they were in our ABF for newlyweds. Even though, they’ve been married a few years now, they still looks just as in love as ever! Enjoy a few of my favorites from their sweet session! 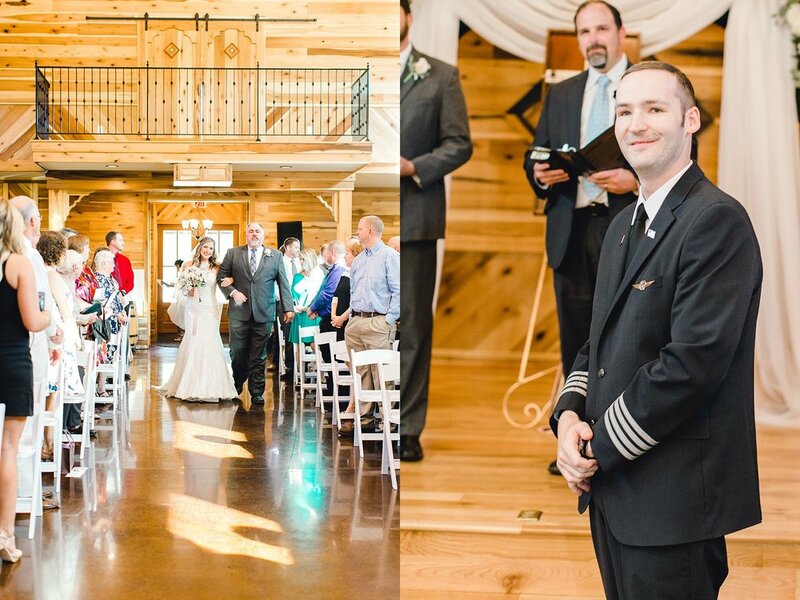 Words cannot even begin to describe how perfect Justin and Taylor’s aviation inspired wedding at the Barn at Broadslab Distillery was! When Taylor reached out to me about photographing her wedding last spring, I was so excited! I have known Taylor for years! I was also excited because I knew how special their wedding day would be. You see, Justin and Taylor have walked through tough times together long before they were even engaged. About this time last year, Justin had just received a bone marrow transplant from his brother to try and help fight the leukemia he had been diagnosed with a few months prior. Justin’s brother was a perfect 12 out of 12 match, which is highly uncommon for siblings, but God was truly watching out for him. Justin is doing well now, but he and Taylor both know how short life really can be. It’s truly been a joy to watch them love each other with that knowledge as I’ve walked alongside of them through their wedding planning process. Hearing Justin and Taylor’s friends and family talk about how these two weathered that storm together was simply inspiring. Taylor’s matron of honor, Lucy presented a beautiful toast that showed how dedicated these two are to each other. She talked about how Taylor never left Justin’s side when he walked through his battle with cancer. Even mandatory bed rest from a back surgery Taylor had to have, could not keep her away from Justin. Her devotion to him was beautiful. They tried to make the best out of a tough situation. Lucy recalled a time in the hospital where Justin sang a George Strait song to Taylor at the top of his lungs, and Taylor chimed right in. 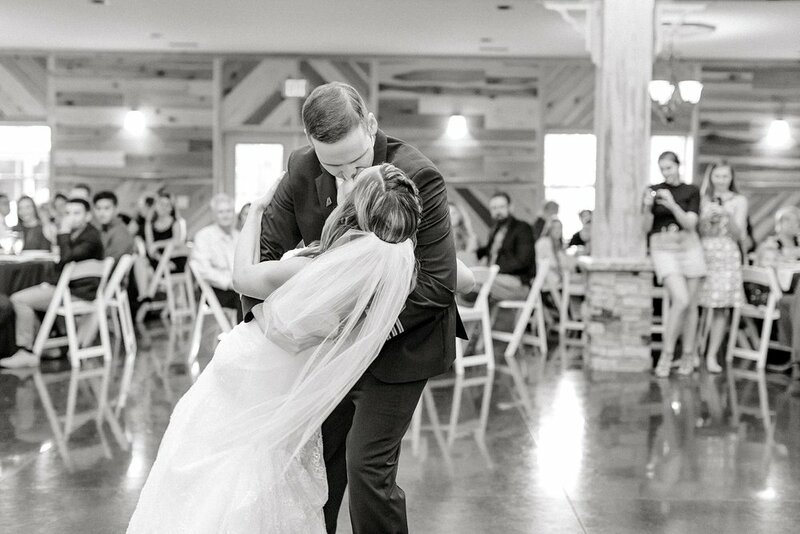 So when Justin pulled a microphone out of his pocket and started singing to Taylor during their first dance, of course everyone’s hearts melted. Their wedding day was filled with so many tender moments. Watching Taylor’s mom tear up as she helped her daughter into her wedding dress and saw her daughter as bride was the sweetest thing. Justin sneaking a small wave at Taylor as she started her trek down the aisle was too. Once cannot forget about the beautiful speech given by Taylor’s dad. He talked about how he knew exactly what the of man Justin was when he got out of his truck the first time he met. He knew Justin would be perfect for his little girl, simply by the way he presented himself. I would have to agree, that Justin and Taylor were made for one another. Taylor and Justin’s vendors also helped to make the day perfect. If you’re looking for a rustic wedding venue, I highly suggest looking into the Barn at Broadslab Distillery. The vendors and I all agreed that they thought of everything for a seamless wedding day! Justin is a pilot, so they decided to incorporate aviation into their wedding theme. Kat Wrenn of Posh Events did a fabulous job of incorporating Justin and Taylor’s personality into their decor! Daniels Florist provided beautiful arrangements for the day! Beauty and the Batter made a gorgeous and tasty cake! To go along with the cake, Ben and Jerry’s also catered ice cream! This pregnant momma especially enjoyed some mint chocolate chunk! The Redneck BBQ Lab made a delicious BBQ dinner with all the fixings! Rodney Holmes of 1st Choice Customized DJ Services provided a great selection of music for the night. Sarah of Gold + Sage was the videographer. She was a gem to work with, and I can’t wait to see her footage from the day! Kristin Ferrell (hair) and Erin Kelly Makeup made sure the girls and Taylor looked fabulous! 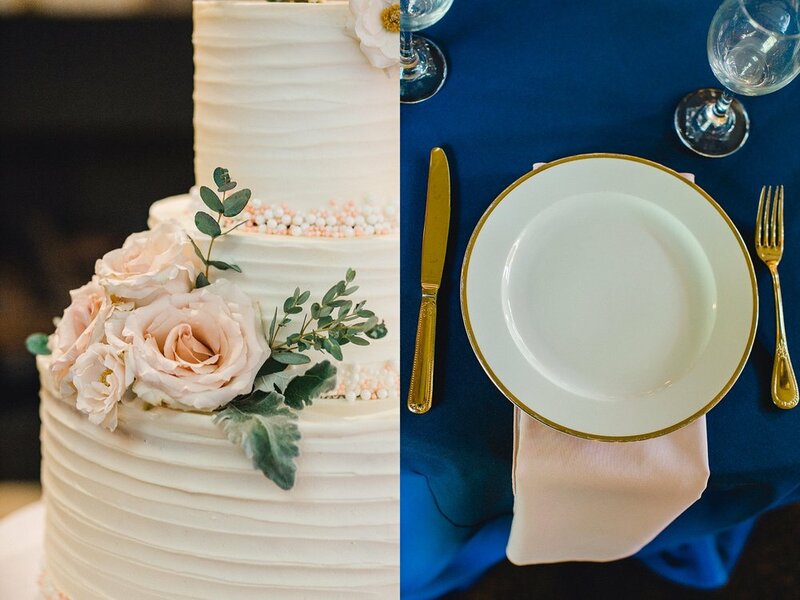 Now, enjoy some of my favorites from this fabulous TR Couple’s Wedding! This cake from Beauty and the Batter is to die for! To tie in the aviation theme even more, Justin and Taylor had a paper airplane exit! so cute!